So where does one park if you go down in the kit but not in any club? I'm in the same boat. A true scratch build so no allegiance to any of the kit or parts manufacturers. I think its a pity that we can't organise a Locostbuilders pitch. I'll probably park near the loos. At my age that will have benefits. I have parked on that pitch a few years ago is it still active? 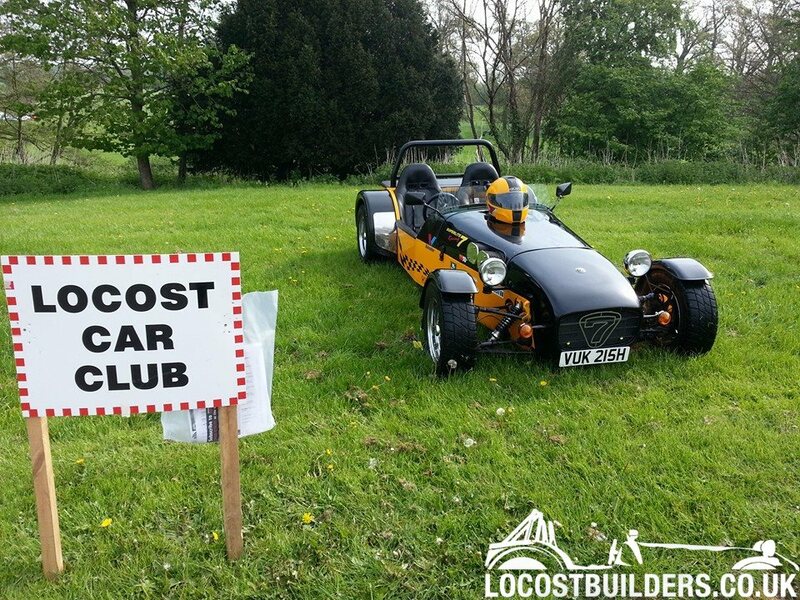 I also believed the Locost was not locostbuilders, but in fact a kit called locost, i could be wrong but who knows, I am sure there used to be a link to the Locost car, this is going back a couple of years ago. Thanks for the offer Ian. And your more than welcome on the Luego stand, 27B. Come and join us at the Luego pitch as Clive says. The secret of success is to know something nobody else knows." Your welcome to join us at Aries/Stuart Taylor/AB Performance on 33 if you like. Plus come over to the race awning on Avenue M and grab a burger and beer on Saturday and Sunday night plus bacon or sausage bap on the mornings with tea and coffee. Hi Chris, the tin top is needing new front tyres and tracking Saturday so will probably be going down Sunday morning and back later in the day. Wonder if there are any powder coat supplies there? Anywhere you like with your mates. AdrianH wherever you end up parking come across and say hello. I'll be on the JPSC pitch (no10) under the phone mast. 50m from Rawcus and 10m from Luego pitches... and you're stuck for parking we'll find room for you.